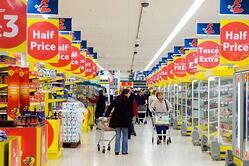 Trade Promotions: What Am I Getting and When? What if air traffic control failed to communicate arrival time changes on inbound flights? Gate personnel would not be there to allow passengers to deplane. Baggage would sit for hours in the plane’s belly. Refueling would not occur, delaying subsequent flights. Dozens of on-the-ground functions are triggered by a single event – the arrival of an airplane. Planning for CPG trade promotions is no different. The decisions made during the planning process impacts downstream logistics. When the logistics function is the last to know, the cost of that poor communication can be enormous. What’s the financial impact of a poorly planned trade promotion? According to AMR Research, in the U.S. CPG industry trade promotions cost $85 billion to $105 billion a year, yet only 16 percent of trade promotions are profitable. These lost profits are leaking from many areas, and logistics is one. Communication is the key to recovering these lost profits. Logistics must be involved, up front, during the planning process. By simply providing the logistics team with an earlier answer to its prime question – “What am I getting and when?” – you can easily save hundreds of thousands annually in unnecessary costs. Your logistics team can translate product data into space and labor savings. Industrial engineers examine product volume and dimensions, along with any special handling requirements and equipment needs. From this data, they develop a layout for how and where product will be stored and where value-added services, such as kitting or co-packing, will be performed. They then map out processes for unloading and handling the product with the fewest people in the least amount of space. The longer product sits in the distribution center, the greater your costs. If logistics can receive accurate information on the volume and delivery time of inbound shipments, then warehouse labor and product pick-up can be scheduled in advance, minimizing inventory in the DC. Warehouse teams operating with good data can slash labor costs 20%–30%. This can equate to hundreds of thousands annually in labor costs alone. When it comes to workforce management, by understanding the number of workers required to process forecasted volumes, you can avoid overtime and the cost of running an extra shift. Carriers must be brought into the process early. They need to know volume estimates to determine the number of required trucks and when product will be available to ship. From there, pick-up and delivery must be synchronized between factory, warehouse, and retail customer. Poor coordination and scheduling add costs. For instance, if a truck arrives too early and must sit in the yard the product will be handled twice versus going direct to the production line. The logistics implications of high-volume trade promotions are not top of mind for marketing and sales teams as they plan the promotion. Poor planning creates uncertainty, which forces the logistics team to develop more costly “just in case” plans for storage, labor and freight to handle promotion-related volume spikes. Much of this uncertainty can be erased simply by telling the logistics team “what they’re getting and when.” To learn more about logistics for promotions, download our white paper "Logistics Support for Trade Promotions: A View from the Trenches."